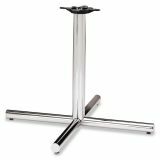 HON Single Column Steel Base, 36w x 36d x 27-7/8h, Chrome - Round hospitality tabletop features 1-1/8" thick high-pressure laminate tops and comfort edges made of vacuum-formed membrane press application of rigid PVC vinyl over MDF. 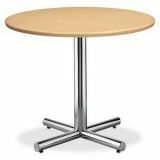 Single column bases fit HON's round hospitality tables. Base measures 27-3/4" high without top and 29" high with top. 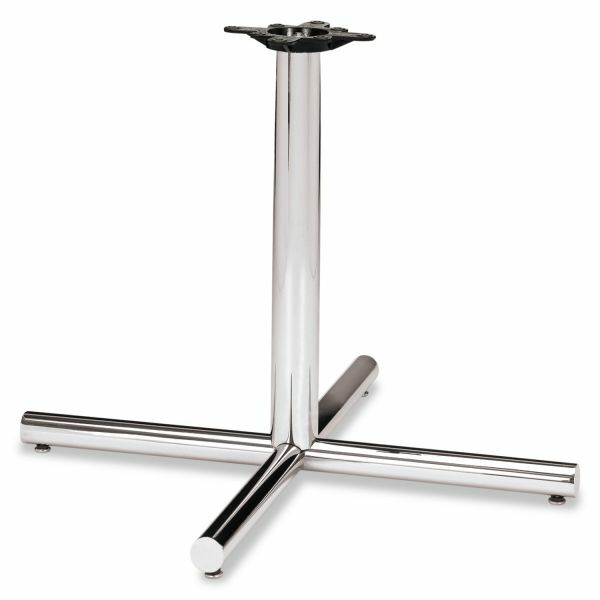 Single column base includes cast iron mounting plates and package of four black adjustable self-leveling glides. Tops and bases are sold separately.  Meets or exceeds applicable ANSI/BIFMA standards.